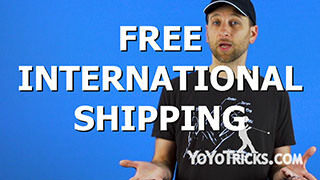 Stay up to date with the latest yoyo news from YoYoTricks.com, this week Chris gets hyped for the Illinois State Contest, and Jake announces a restock of the iYoyo iCEBERG with new colors, as well as the upcoming release of the new 7075 aluminum Abduction Yoyo from UNPRLD, available this Saturday from the YoYoTricks.com booth at the ChiTAG Fair, also on Friday at midnight on the YoYoTricks.com store. 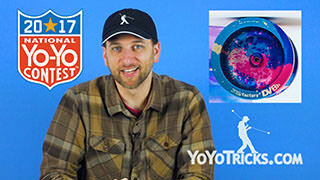 Weekly Yoyo Update: IL States, iYoYo iCEBERG Restock, UNPRLD Abduction Drop 11-15-17 Yoyo TrickWelcome back to the Weekly Yoyo Update, once again this is Christopher Chunn filling in for Adam Bottiglia. 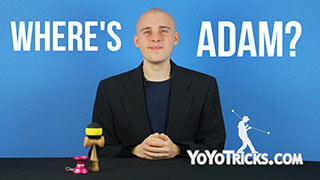 It’s been four weeks since we have heard from ya Adam, so if you’re out there buddy, please give us a call, we need you. The Illinois State Yoyo Contest will be held this weekend on Saturday, November 18th at the Chicago Toy and Game Fair. This fair is the largest and longest running toy and game fair in North America that is open to the public, with a focus on toys and games that are fun for the whole family. This fair is a ton of fun, featuring all types of vendors, from tabletop and backyard entertainment to educational games and puzzles, and so much more. We are really looking forward to seeing what new kinds of fun will be in store for this holiday season. So if you’re planning to join us this weekend, make sure to get your tickets for the fair. All competitors and spectators must get tickets, but remember, there is a discount code that you can use if you buy your tickets online that gets you $2 off. 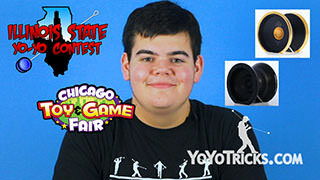 Follow the link at ILyoyocontest.com to get your tickets. You can also get tickets at the door, but you can’t use the discount code in person. Registration closes at 10pm on this Friday, November 17th, so be sure to register and upload your music before the deadline. To reiterate, you need to register AND upload your music if you plan on competing. If you register but do not upload your music, your music will be limited to choices from our playlist of video game themes and classic rock. If you upload your music to the site but do not register, you will not be able to compete, so double check that you’ve registered, uploaded your music, and bought your tickets to the fair. 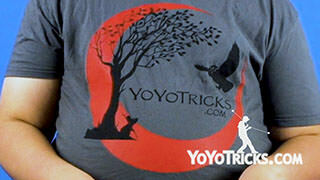 Speaking of which, when you register, there is a $15 fee, but you when you check in at the event, you will receive a $15 credit to use at the YoYoTricks.com booth. Rumor has it that there will be a new t-shirt debuting at the contest, so that might be something to keep an eye out for. 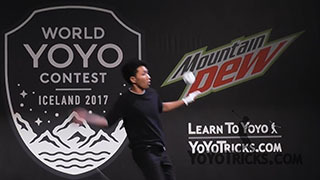 On the other side of the table, there is actually no additional charge to compete in multiple divisions, so if you have ever considered doing a freestyle in the other styles of yo-yoing, there’s no extra charge and this is a great opportunity to get experience on stage. In addition to the new mystery t-shirt, I have also heard that we are expecting to have some awesome new product releases available at the contest. For more information on this breaking news story, here’s Jake with the forecast. Thanks Chris. 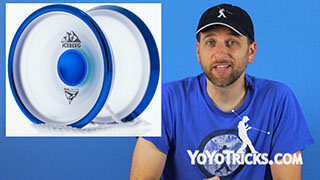 This week we have a Big restock on the Iceberg yoyo available now on the YoYoTricks.com store. 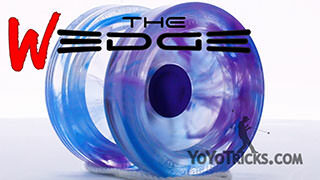 Arguably the hottest yoyo of 2017, the first batch of the Iceberg sold out faster than any other yoyo in our store, ever, completely selling out in 12 hours, so you really don’t want to miss this run. 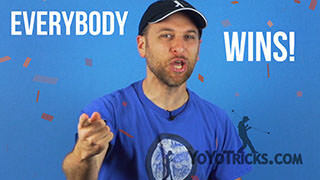 Everybody who has tried this yoyo absolutely loves it, and you can hear all of our opinions on it in our review video you can check out for more information. We have two new colors: clear with black rims, and black with gold rims, which is super blingy. We will have these available in person at the toy fair this weekend, but if you can’t wait or can’t make it to the contest, they’re already available on our website, so you can check that out. Now, I would make another Titanic pun, but quite frankly, that ship has already sunk. 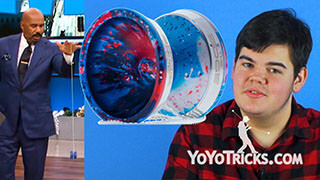 Also in big news, we are introducing to you a new yoyo company called Unparalleled. 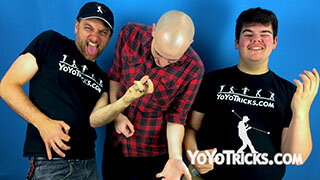 They are known for making really, really good, but also inexpensive yoyos out of 7075 aluminum. The Abduction is the first model of theirs that we are carrying. 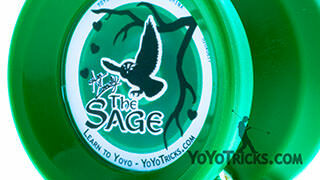 It has a super solid and super smooth spin, with a precise, Japanese feeling on the string. It comes in 6 awesome colors that are sure to sweep you off your feet. Solid colors are $45 and splash colors are $55. The Abduction releases on november 18th at the Illinois states, and also will be available on our website at the same time. And now back to Chris for the results of the instagram contest. Thanks Jake. Congrats The winner of last week’s instagram costume contest, shlagster. Check your instagram DMs to claim your prize. 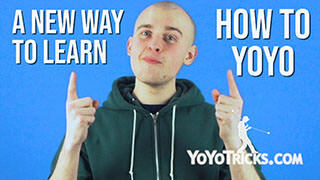 Stay tuned at the end of this video for some of our favorite entries. Before we get into next week’s contest, we have a special announcement for you guys. 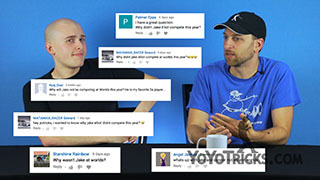 With the holiday season getting started, we are expecting that there is so much news going on, we might be posting news updates more frequently than every other week, so if you are entering the contest, make sure to have your post up by next monday, in case there is a surprise news video next week. If there is not a news video posted next week, the contest will still be open. 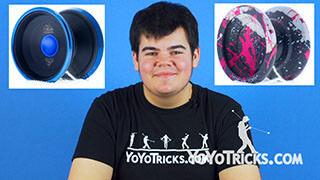 Go to yoyotricks.com/instacontest to make sure you are entering the correct contest. 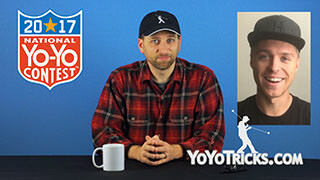 For next week’s contest, we want you to post a video of a grind. Any grind trick will do, but no finger spins. And the longer the grind, the more points you’ll get. 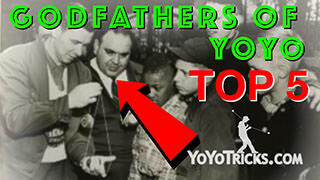 Be sure to use the hashtag #YoTricksGrind when you post your trick on Instagram. 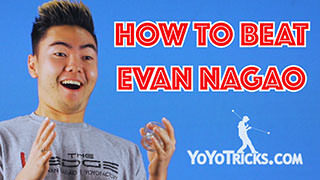 For the full list of official contest rules go to YoYoTricks.com/InstaContest. 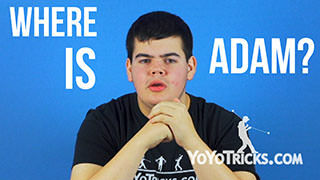 This weeks contest winner will receive a $25 gift card to YoYoTricks.com, and remember, the winner will be randomly selected, so even if your trick isn’t the best, you still have a shot at winning. 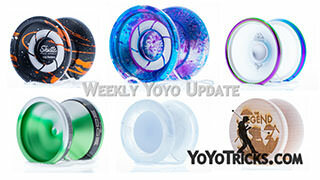 And don’t forget, we will be featuring some of our favorite entries at the end of our next weekly yoyo update in two weeks. This is Christopher Chunn signing off, reminding you, don’t be silly, be smart and register now for Illinois States. We will see you next time.